Yes, this is a knitting blog but it would be mean not to share this idea with you. And yes, these curtain will save money but don’t miss the two important health links at the end of the post. My husband and I are serial house renovators. Not flippers. We tend to move every few years for work and always buy the house that has ‘potential’. You know, the one where you question the sanity of the previous owners. 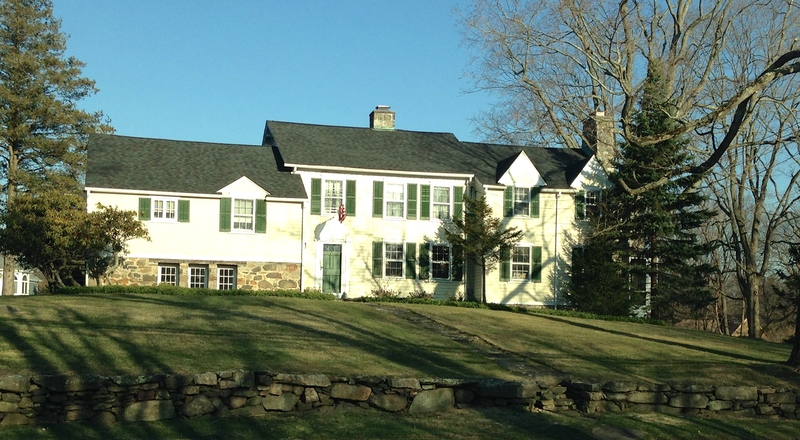 Our first house was 250+ years old and part of Fort Stamford in Connecticut. No ghosts but lots of ancient plumbing, plaster & lath walls and wallpaper … layers and layers of wallpaper. The biggest difference in the design of newer homes is the size of the windows. Our current house has a beautiful 14-foot window in the master. Fabulous, until you try to buy curtains. The three quotes I got for wide, but basic, blackout curtains ranged from $2,700 to $3,500. Unwilling to spend on curtains what could get me a nice family holiday, we’ve been watching the sun peek between the 6 curtain panels we put up for the past five years. That is, until now. The problem with off-the-shelf curtains is they’re all about 45″ wide and come in limited fabric options that seem to be the same year after year. So what’s wide, has a million pattern options, keeps up with current color trends and is a fraction of the cost of lined curtains? Drum roll … duvet covers. No, I’m not kidding. Wayfair has almost 700 cotton blend duvets in full/queen. You can also find a lot on Overstock. They are naturally 2-sided so they look good from the outside too, are already hemmed and they’re twice as wide as curtain panels. A full/queen size duvet cover is about 90′ by 90′, perfect to cover your larger windows. 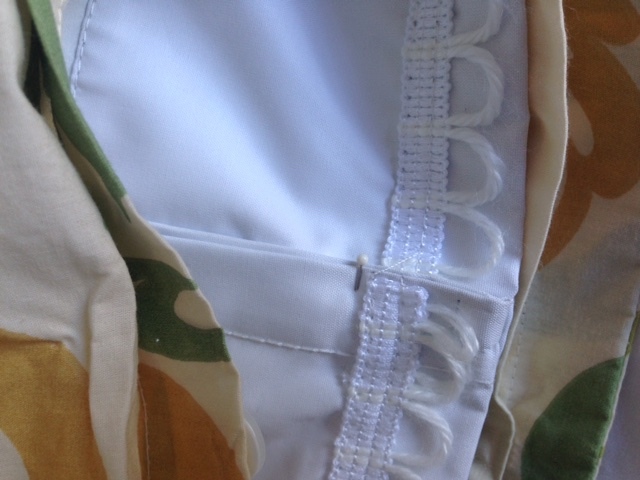 Wait there’s more… these curtains are no sew and include blackout lining (or blackout stuffing as the case may be). A queen or full/queen duvet cover that’s about 90″ x 90″. They come in different sizes ranging from 88″ to 92″ wide and 88″ to 96″ long. The cotton blends aren’t too thick or too heavy for this no-sew option. 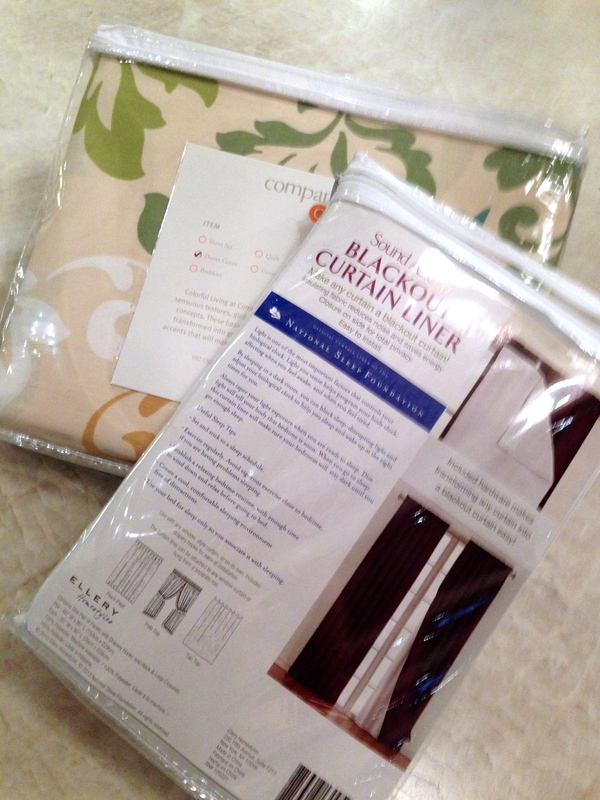 3 blackout liners for each curtain. They are 30″ by 90″ in size. I got mine at Bed Bath & Beyond (with their ever-present 20% off coupon). 2 packs of curtain rings with clamps per curtain (7 per pack). Why queen size? Because it best matches the store bought blackout liners. You could also buy blackout fabric and make a custom sized liner to fit any duvet. There’s no need to get fancy with hems or anything since they go inside the duvet curtain so it would be an easy project. Don’t sew? You could connect the 54″ fabric panels with iron on hem tape too. Liner is only about $7 a yard at Joanne’s and you need 5 yards per curtain. 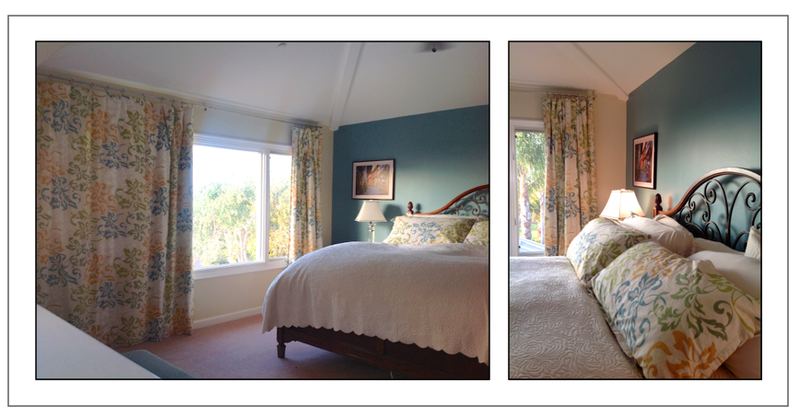 Lay the duvet cover (hereafter referred to as your curtain) on a large surface like the dining room table or your bed. There’s no way I was going to iron 16,200 square inches of wrinkled curtain so I used the steamer I have for blocking my knitting to relax them once they were hung. Connect the liners along the sides with the velcro strips that are conveniently already built into the liner. The velcro does not run from top to bottom so attach the bottom edge with a safety pin. If you’ve ever stuffed a duvet into the cover before, you know what’s coming. You basically have to climb into the duvet to push the liner corners into the cover corner. Shake from the other end to spread out. An extra pair of hands would help but I did mine alone. Line the top of the blackout liner up carefully under the hem of the top edge. As you can see here, I just used a straight pin to connect the 2 liners at the top edge. 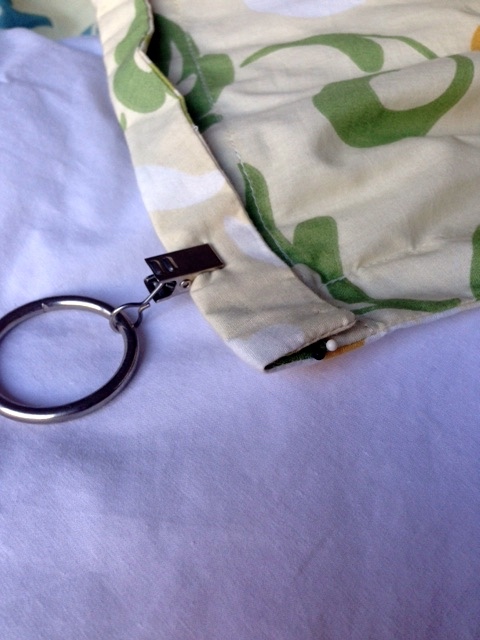 Button up the duvet and fold over the hem so the liner will also be gripped by the curtain ring clamps. 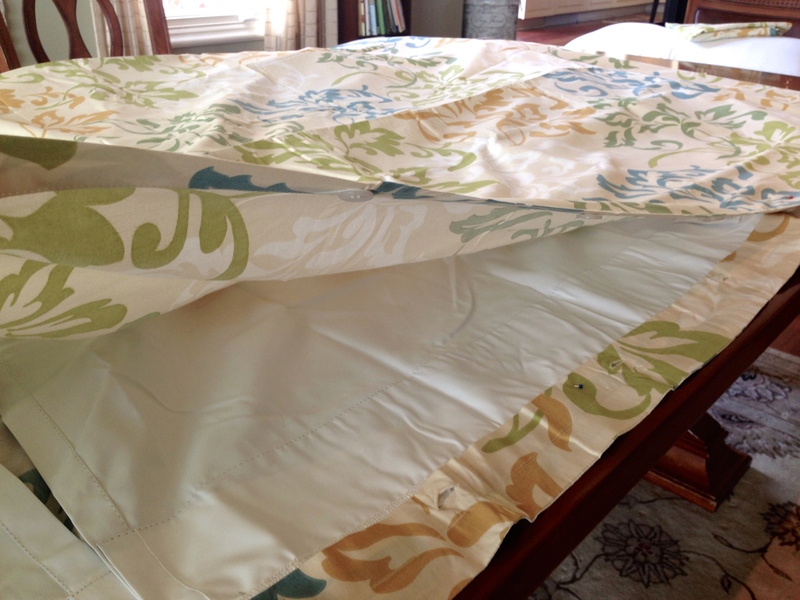 Now use the curtain rings to secure the liner and duvet cover (oops, I mean curtain). The end fold was popping up a bit so I used another straight pin to tack it down (the little white dot at the end which I pushed in after taking the photo). I told you these are absolutely no sew curtains. The stuffed curtain is a little heavy so I used a clamp ever 6″ to 7″, eleven in total for each curtain. Slip onto a curtain rod and you’re done! The lined curtains are nice and thick and drape beautifully. Total spent about $450 ($140 less if you make your own liner) and now our room is nice and dark (important to reduce cancer risk) so you can sleep. 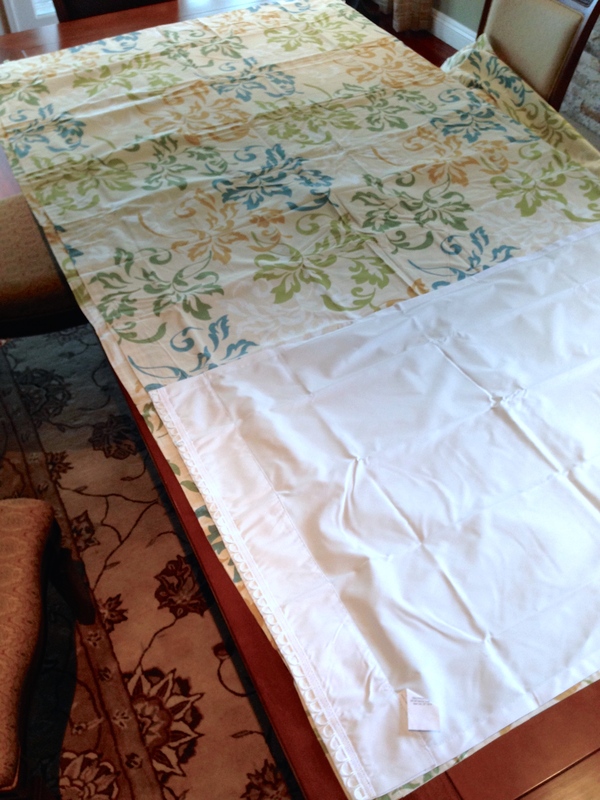 You can coordinate your bedding by using matching shams as shown above. You could order the matching cover for your bed too but that just might be a bit much. Wow, with all these savings I’m feeling the need to add to my stash. This entry was posted on November 11, 2014 by Laura Cunitz in Other Ideas and tagged easy blackout curtains.